The biggest night in television is almost here, with The Emmy Awards airing tonight on CBS starting at 8 PM ET/5 PM PT. HBO's Westworld and NBC's Saturday Night Live tie for the most nominations with 22 apiece for the 69th Annual Emmy Awards, with the field balanced quite evenly between hit newcomers like Westworld, This Is Us and Stranger Things, and Emmy veterans like Better Call Saul, House of Cards, Modern Family and Veep. We'll be keeping a close eye on the awards all night and updating this story with all of the big winners at the 2017 Emmy Awards. Some of these winners have already been announced at last weekend's Creative Arts Emmys, which included Melissa McCarthy for her Sean Spicer impersonation on Saturday Night Live, but the main awards will be handed out tonight. Stephen Colbert hosts tonight's awards ceremony, with the coveted Oustanding Drama Series category featuring five newcomers out of the seven nominees. Previous nominees AMC's Better Call Saul and Netflix's House of Cards are joined this year by newcomers such as Netflix's The Crown, Hulu's The Handmaid's Tale, Netflix's Stranger Things, HBO's Westworld and the only drama series representative from any broadcast network, NBC's This Is Us. In the Outstanding Comedy Series category, with hit new FX series Atlanta joined by previous nominees such as ABC's black-ish, Netflix's Master of None, Modern Family, HBO's Silicon Valley, Netflix's Unbreakable Kimmy Schmidt and HBO's Veep. Saturday Night Live and Westworld led the tally for the most nominations (22) in all categories, followed by Stranger Things and FEUD: Bette and Joan (18) and Veep (17). Leading the nominations in totals by platform were HBO (110), Netflix (91) and NBC (60). The 69th Emmy Awards will telecast live from the Microsoft Theater in Los Angeles, Sunday, September 17 (8:00-11:00 PM ET/5:00-8:00 PM PT) on CBS. Stephen Colbert will serve as host. The 69th Emmy Awards is produced by White Cherry Entertainment. Glenn Weiss and Ricky Kirshner are executive producers; Weiss is director; and Chris Licht, executive producer of The Late Show with Stephen Colbert, is a producer. 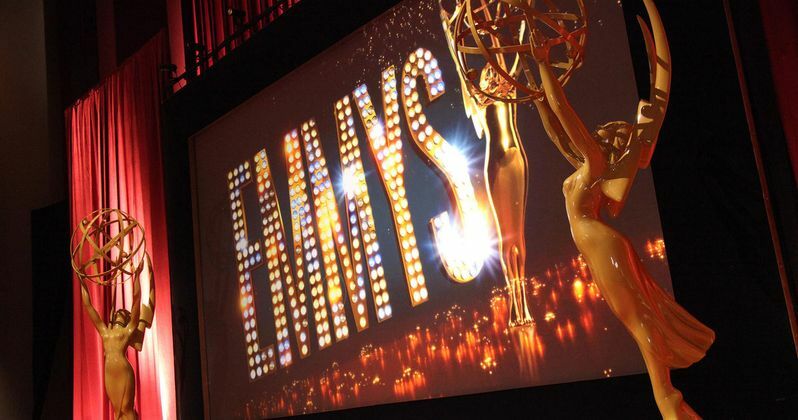 Take a look at the 69th Emmy Awards nominations below.